Omega-3 essential fatty acids are critical for many aspects of health. 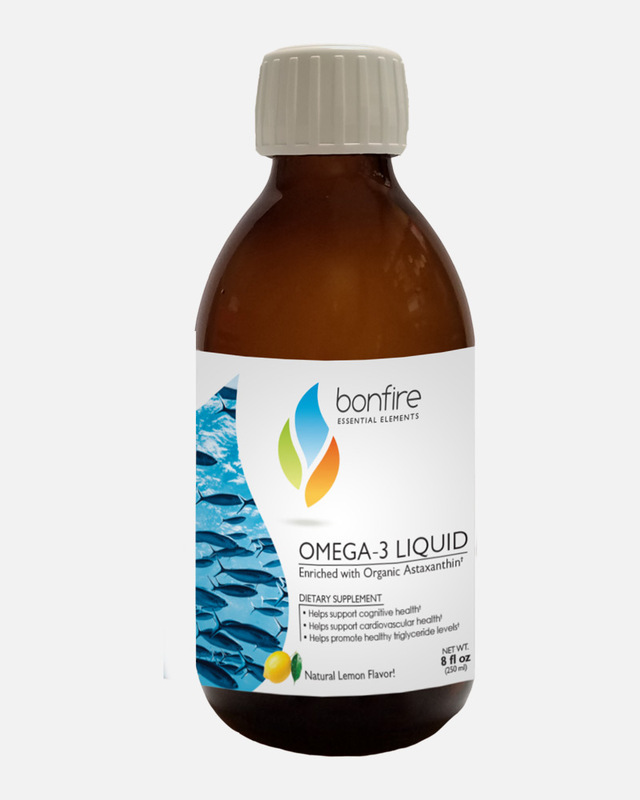 Bonfire Omega-3 is an advanced triglyceride formulation that allows for greater absorption over typical ethyl ester fish oils, and is also free of mercury and lead toxins that are commonly found in fish. 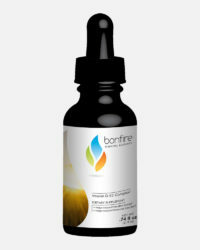 Bonfire Omega 3 provides necessary support for your heart and cardiovascular system, brain health, skin health, and immune system. 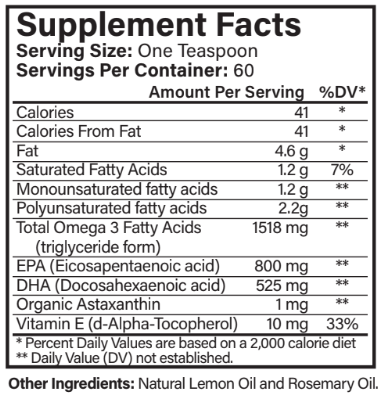 An easy-to-swallow, burp-free fish oil supplement. 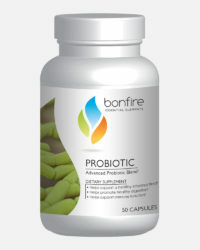 Take 2 soft gels a day, or as directed by your healthcare professional. Bonfire Omega-3 lemon-flavored liquid, a molecularly-distilled top quality fish oil, delivers essential omega 3 fatty acids to your body in its natural triglyceride form; and it’s formulated with organic astaxanthin, a powerful, fat-soluble antioxidant (1 mg per tsp serving) – which is significant enough to provide the many health benefits including advanced protection against oxidative damage, supporting eye and skin health, improving cardiovascular and immune function. This powerful ingredient combination has also been shown to enhance athletic performance and accelerate muscle recovery. Bonfire Omega-3 is sourced from herring, mackerel and anchovies found in sustainable cold-water fisheris off Iceland. For best results, take 1 – 1 ½ Tsp of Bonfire Omega-3 daily or as recommended by your healthcare professional.